Ofgem is exploring major changes to electricity network charging and access arrangements that will affect all users of the system from large businesses to households, from large transmission-connected to generation to behind-the-meter storage operators. In this second post on network charging and access reform, I will explore some of the network charging reform options available to Ofgem in re-defining the way in which access to and use of electricity networks is granted and paid for. 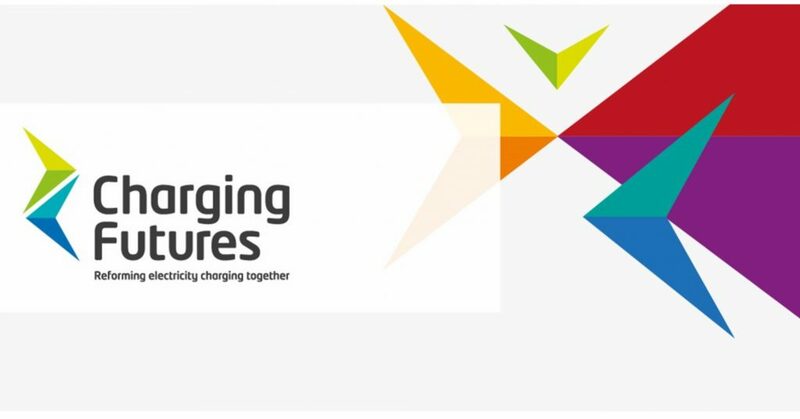 The Charging Futures Forum (“CFF”) task forces on access rights and forward charging produced a report in May 2018 exploring some of the network charging reform options available to Ofgem and their possible impacts. The CFF was created by Ofgem in July 2017 to provide direction to the ongoing charging reviews and to develop an integrated work programme for these and other elements of Ofgem’s work. 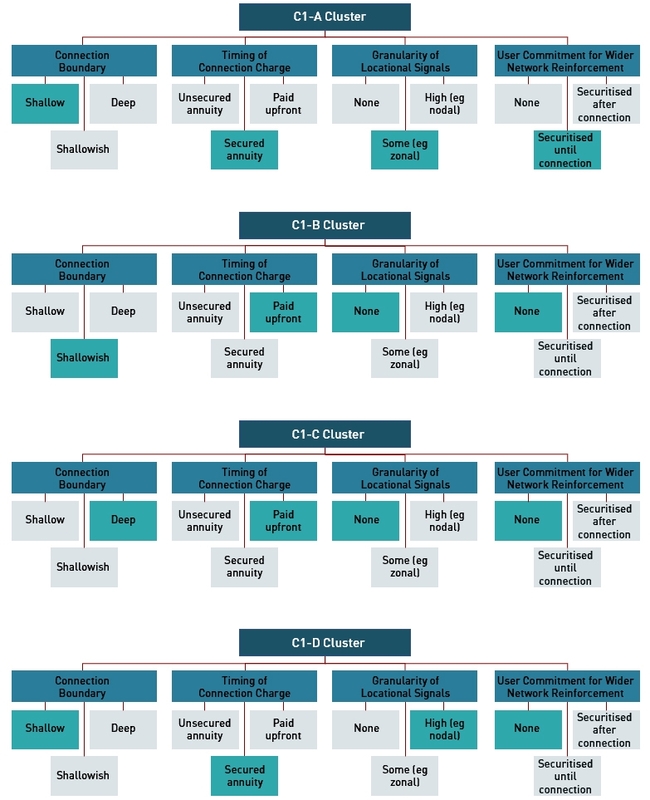 The CFF identified a number of variations on these parameters, described in the report as “clusters”, with one group (“Cluster One” or “C1”) focusing on the parameters that influence user investment decisions (both new connections users and those already connected), and the other (“Cluster Two” or “C2”) focusing on the parameters that influence user operational decisions. Degree of user commitment: the financial liability on connectees to wider reinforcement eg none, securitised until connected, or securitised after connection, i.e. whether users are required to place a form of deposit or not. C1-D – shallow connection charging with focus on strong ongoing usage signals. Locational ongoing usage charges at transmission and distribution EHV levels generated by complimentary methods/models, with an HV/LV representative model adjusted for locational issues such as a generation dominated network. A shallow connection charging boundary, with the connection charge only covering extension assets at the time of connection, would facilitate the use of flexibility by providing a direct price signal to compare the cost of flexibility against network asset solutions. However, shallow connection charging on distribution networks would require more locational usage charges further down the network. Shallowish connection charges can create barriers for new users in constrained distribution areas leading to connection queues. However, shallowish connection charges may be appropriate when it is not desirable to give strong locational signals – for example to smaller/domestic users as this risks creating a “postcode lottery”. If strong locational signals are not applied for some users, a shallow connection charging boundary would mean the costs of connecting a new user would be inappropriately socialised. Some users may prefer the stability of charges achieved through a deeper connection charging boundary than the potential volatility of ongoing usage charges if the connection charging boundary were shallow. Deep connection costs can act as a barrier to new investment and reduce the ability to influence a user’s behaviour once they have connected, which could inhibit the development of flexibility services. 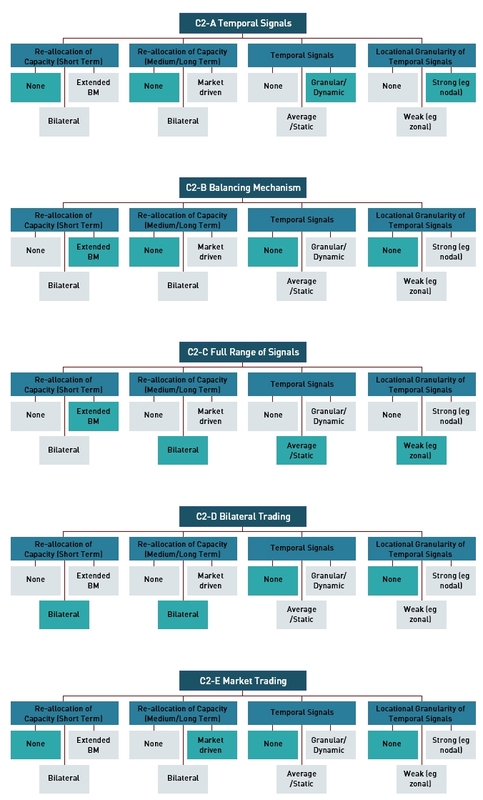 C1-A and C1-D share shallow connection charging, differing in the degree of granularity of the ongoing usage charges. Greater granularity can be more cost-reflective but can result in charges that are more volatile and harder to predict and therefore less likely to influence behaviour. Due to modelling challenges, it may be preferable to limit locational signals to EHV connections, with shallowish connection charging at the HV and LV levels. User commitment would be key to reducing the risk of stranded asset costs where network capacity is increased in response to a user request. This could be restricted to larger connection capacities (eg above 1 MW). A proportion of cost committed to provide the capacity could be securitised until connection (C1-A) with the user subsequently paying for any agreed capacity for a fixed period of time. There is a risk shallow connection charges could reduce incentives on developers to accurately specify future capacity requirements, particularly where there is no ongoing relationship between the developer and end users (eg in a housing development). This could be avoided by ensuring developers retain a liability should the capacity on a new development be underused. Transitioning to shallow connection charging arrangements at all voltage levels could present challenges, particularly in the treatment of existing users. Grandfather rights of existing users could potentially delay the benefits of the change however access to local flexibility markets could be contingent on accepting the new arrangements. Cluster two (C2) comprises those building blocks which influence users’ operational decisions. This may be through the ongoing usage charges that apply or mechanisms for reallocating existing capacity. These building blocks are not mutually exclusive and hybrid options may exist. For simplicity, hybrid options have not been considered at this stage. Locational granularity of temporal signals: none, zonal (averaged across locations) or nodal (granular). There are a number of ways in which a user’s operations can be influenced after connection to the network. Providing users with a wide range of access choice and the ability to vary this choice during the lifetime of their connection would allow users to connect quickly (ahead of wider network reinforcement) and would trigger efficient reinforcement at the appropriate time. Greater flexibility could be achieved by introducing frameworks such as time of use pricing, or extending the existing Balancing Mechanism to more voltage levels and users, compensating users for their actions to balance the system. Trading curtailment obligations could also be a useful option, particularly for larger users. Capacity could be re-allocated through market-based or bilateral trading, however there could be practical challenges around ensuring sufficient network capability and exchange rates, particularly for trading across wide geographic areas, and a level playing field between larger and smaller users. Under temporal locational charging, users pay more when contributing towards constraints, with common price signals regardless of whether a user is connected to the transmission or distribution network improving price reflectivity of distribution and transmission connected assets. This facilitates a more level playing field. Effective price signals across timescales encourage aggregation and competition in supply, allowing economies of scale. Time of use price signals may be effective for reflecting future network costs if used as a proxy for user operational characteristics (such as reflecting the type of profile of a particular demand user), rather than providing an explicit time of use price signal to which a user is expected to respond. Static time of use signals can be predictable and reflective if calculated ex ante (i.e. in advance) and charged ex post (i.e. after the fact), allowing users to reliably forecast their charges and modify their behaviour in response. If time of use price signals fail to be fully cost-reflective, then they would provide an unfair competitive advantage to users who are able to avoid them, but for time of use price signals to be fully cost-reflective, they need to be dynamic at high resolution (eg changing every Settlement Period). This would make it very difficult for users to predict when planning their dispatch and could be operationally difficult to achieve, particularly for small users. It is also likely to be socially undesirable for all users to be exposed to strong temporal signals, for example if cost-reflective charges result in very high charges at peak times, essential demand will be penalised for unavoidable usage. Users may over/under respond to temporal signals, so the network company may have to pre-emptively reinforce its network to able to meet demand in a situation where users do not respond. Time of use prices may also be ineffective if network investment is driven more by a user’s capacity than its operational behaviour in any given year. An extended Balancing Mechanism would be effective at providing real-time price signals to those users who can respond to them, while avoiding imposing operational risk and price signals on those users who can’t – the operational risk of operating the system falling on the network company, which is best placed to manage it. It would also take into account locational signals and could optimise demand/generation around constraints. An extended Balancing Mechanism allows users to reflect their own costs to the network company, which includes time-of-use and other network charges, leading to better dispatch. However, a high level of engagement is needed from users, and a ‘de minimis’ volume may be needed for practical reasons, which may limit participation. There is also a risk of distortion if users with firm access bid alongside users with non-firm access. The methodology would need to be developed to prevent users from gaming the system by exacerbating constraints, and smart systems would be needed to verify that action is taken as contracted. Use of an extended Balancing Mechanism tool to manage operational dispatch may be hampered if users are also self-dispatching for time of use price signals (for example in a mixed approach). Bilateral trading could potentially ensure more efficient allocation of existing capacity, while market trading would publicly display the value being revealed by users allowing a wider audience to participate and therefore react. Requirements for capacity allocation on suppliers could encourage supply market competition, lowering costs for users trading access. The ability to aggregate demand and generation could offset risk through a portfolio approach, vertical integration and economies of scale. However, the network company would have poor control of the short-term operational dispatch of particular users, which efficient system operation more challenging. There is also a risk of economic distortions caused by using secondary trading to arbitrage network charging arrangements which may allow some users to avoid paying the cost-reflective usage charges the network company intended them to pay. Safeguards would be needed to enable network companies to block transactions that may put the system at risk. Bilateral trading also tends to favour larger parties, reducing capacity trading overall, particularly where prices are not made public. Smaller users may need to be allocated capacity to be able to take part in the mechanism, and they may find themselves giving away access rights, they subsequently need. While market trading would increase transparency, it could be complex to design and it may be difficult for users to forecast the market clearing price when planning dispatch. If secondary trading enables some users to arbitrage different charges at different times, net price signals differ from those initially intended by the network company. There could also be a risk of speculative behaviour, putting some users at a competitive disadvantage. In addition to the above, locational charges could have a role to play. Widespread locational network charging is easier to deliver at the transmission and EHV levels because loadflow models and network monitoring already exist at high levels of granularity at these voltages. Implementing similar systems at the HV and LV levels would require improvements in both modelling and monitoring on these networks. Different types of operational signal may be better suited for different types of user or for different situations. There will also be trade-offs between cost-reflectivity and operational simplicity, and also in overall effectiveness since volatile and complex price signals will have a more limited influence on user behaviour. The use of different approaches on different networks could increase the risk of distortions and unintended consequences. Any potential reforms should be studied to ensure the avoidance of unintended consequences or the unequal treatment of users. The interaction between the different signals should be carefully considered to minimise distortions which could arise where different forms of price signal provide conflicting operational signals, or gaming opportunities. The level of volatility of the different operational price signals should also be evaluated to determine whether such variability can be effectively managed within revenue recovery models. Fixed Charges (£/year) – charges would be applied on a per user basis as long as the user remains connected. Fixed Charges would be simple to implement, and are more predictable for the end user. As they are not affected by usage, users shouldn’t be able to avoid them, ensuring cost recovery over a wide base, and could provide signals for a user to disconnect. However, fixed charges have limited impact on user behaviour, and are not fully cost-reflective. There is also a risk of over-valuing ‘off-grid’ or behind the meter solutions if fixed charges are too high. Unit Rates (£/kWh) – standard unit charges which could vary by time of day and/or time of year. The effectiveness of Unit Rates depends on the extent to which costs are driven per kWh and on the ability to limit volatility. A time bounded unit rate could signal the contribution to peak demand across a diverse network while averaging over a period of time (such as the annual load factor in transmission) would avoid conflicts between investment and dispatch signals. A unit rate is relatively easy for some users to avoid by taking action therefore can be used to influence user behaviour, however, if the unit rate is designed to incentivise investment decisions, then it may incentivise inefficient dispatch behaviour. There is a risk of over-valuing reduced usage if not targeted locationally or temporally, and time bounded unit rates cannot be accurately applied to non-half-hourly metered users. Unrestricted Unit Rates – a charge which applies to every unit used in all time periods (currently used for the majority of domestic users). Unrestricted Unit Rates are easy for users to understand and apply, however they have limited cost-reflectivity and are not appropriate for a forward-looking charge. As the only possible action is to reduce overall usage – moving usage to other times has no impact on a user’s costs. There is a risk of over-valuing lower overall usage and under-valuing reduced usage at peak. Static Time of Day Unit Rates – charges which vary by time of day with time bands fixed throughout the year (such as the red, amber and green unit rates for half-hourly site-specific settled distribution connected users at the LV and HV levels). Static Time of Day Unit Rates have prices and time periods are known in advance, so users can respond to them, and they can be used to signal low cost network periods, such as low/zero locational network charges overnight. However, they may incentivise inefficient operational dispatch decisions relating to the differential between the static peak band and the actual periods of constraint – because periods of system stress are a function of outturn factors such as weather, demand and market events, and so are inherently not static. If network investment is driven by user capacity, then a price signal which aims to affect a user ‘s operational dispatch at times of peak demand may be ineffective, and if set globally, the charge may encourage ‘wrong’ behaviours, such as increased generation in generation-dominated areas. Static signals may also be too crude to drive an appropriate response and it is doubtful whether sufficiently sophisticated systems exist to reflect actual constraints. In addition, time bands would need to be sufficiently granular to drive the correct level of response. Seasonal Time of Day Unit Rates – charges which vary by time of day and also time of year (such as the charges levied on pseudo-half-hourly Unmetered Supplies users at distribution). Seasonal Time of Day Unit Rates share many of the benefits and drawbacks of Static Time of Day Rates, however and they cannot be applied to users with non-half-hourly metering. Critical Peak Pricing (“CPP”) – charges which vary by time of day with a narrow peak band in which the cost per unit is significantly higher (such as the existing ‘super-red’ period for distribution connected users at EHV). Critical Peak Pricing can allow users to respond easily if the critical peak periods and prices are known in advance, however, this approach may clash with and distort the response to other price signals associated with periods of network stress. Peak demand charging on its own would fail to provide an effective price signal for generation-dominated zones where network investment is required to mitigate constraints caused by generation. Variable Time of Day Unit Rates – charges which vary (potentially up to real-time) by time period depending on the level of demand at the time. Variable Time of Day Charges could be a very effective approach for users with smart technology, and may tend to provide more cost-reflective operational dispatch price signals than static time of use tariffs. However, it favours users with smart technology who can respond to short-term price signals automatically. Therefore, it may be difficult for some (particularly small demand) users to respond. It difficult to implement due to the challenge of calculating real-time dynamic tariffs, and there could be clashes with other price signals associated with periods of network stress. Inclining Block Rates – under this option a lower unit rate would be applied to usage below a certain threshold, and a higher unit rate to usage above this threshold. Inclining Block Rates meet the service requirements of low usage users at low cost, whilst exposing higher usage users (e.g. electric vehicle owners) to higher costs. However, smaller users may find it difficult to monitor when their usage is remaining within the lower block in order to take action to avoid going over the threshold into the higher block, and there is a risk of penalising large households compared to smaller households for the same type of ‘essential’ usage. There could be clashes with other price signals associated with periods of network stress. Notional capacity charges – applying capacity charges to notional capacity for smaller users who do not have an agreed capacity level. Agreed Capacity Charges are particularly well suited for incentivising user investment decisions, and are easily applied to larger users with bilateral Connection Agreements. Users can obtain certainty by contracting in advance for the capacity (or ‘access’) they require. They could be used with generators and load users grouped together. However, the approach has limited cost-reflectivity and does not provide any operational dispatch price signal, therefore agreed capacity charges would need to be combined with some other mechanism such as an extended Balancing Mechanism to provide operational dispatch incentives. The approach is also difficult to apply to smaller users who do not have bilateral Connection Agreements. Peak Demand Charges requires sufficiently predictable windows of charge, and will encourage the right amount of capacity to be bought, depending on the extent to which users can respond, and the extent to which appropriate flexibility can be purchased. However, the approach relies upon the specific definition of peak, and whether this results in stable or predictable tariffs. It is likely to be difficult for users to respond to as a high level of visibility of usage at all times is needed to identify and reduce peak usage. Network costs are driven by network peaks rather than individual user’s peaks, and network peaks are becoming increasingly unpredictable, which could result in unpredictable charges. Reactive Power Charges (£/kVArh) – charges for usage of reactive power, reflecting the difference between actual power (in kW) and apparent power (in kVA), and where the two diverge due to poor power factor which drives the need for increased network capacity. Reactive Power Charges can be predictable for larger users with sophisticated understanding, and action can be taken through upfront investment in power factor correction equipment, and supports market for reactive power service providers. However, smaller users are unlikely to be aware of reactive power or be able to make changes to respond. There CFF identified three primary considerations for the charging methodology – the cost base of the charging model, the means by which locational charges are derived, and the extent to which the methodologies used for the transmission and distribution networks should align. A transport model would generally result in stable and predictable prices, and is likely to be only slightly more complex than existing LV and HV charging models but simpler than existing EHV and transmission models. However, it would give no indication of capacity and simply allocates costs of maintaining the status quo. It also would not include cost based on absolute cost impact. The lack of locational signals would result in all user actions being given the same cost signal – locational and constraint costs would need to be reflected though other means such as a deeper connection boundary. The price signal for flexible generators would be muted. An expansion model would signal areas of low and/or high capacity, with symmetric treatment of demand and generation, irrespective of when they connected. The approach avoids step changes in signals due to asset investment so should result in reasonably stable prices. The use of upfront assumptions reduces the need for the network company to make internal assumptions, increasing transparency, and avoids the complex requirement to attribute specific network investments to specific users. The method allocates risk, by avoiding exposing users to the consequences of decisions taken by network companies which may result in over, or under reinforcement. The approach has a proven track record being in use in existing transmission charging arrangements. The disadvantages of the expansion model are that it does not recognise the specific reinforcement costs of addressing capacity constraints, and if this model only provides relative locational signals this could distort the market and impact competition. Actual costs may be different from the average cost of reinforcement at any given location, meaning users do not face full incentives. Furthermore, risk may not be appropriately allocated between users. Symmetric treatment ignores engineering factors related to fault-level reinforcement although this could be addressed by approaches such as using different security factors for different types of user, or different tariff elements. Signals may need to be strengthened by further locational and constraint cost signals such as the transmission year round tariff element, or a deeper connection boundary. The remaining headroom model signals areas of low and/or high remaining capacity and scale of increasing capacity. There is increased recognition of reinforcement cost and there is greater linkage to required costs/benefits resulting from users’ actions, including site specific (but rule based) reinforcement costing. Demand treatment is highly reflective of security of supply standards, and the approach is likely to provide better forward-looking charges for demand users. Taking account of spare capacity on the network can lead to more efficient locational decisions. This approach is already used for EHV distribution charging and should be practical to use across all voltages. The drawbacks of this approach are the reduced predictability of the signal meaning users make effective investment decisions. In the current distribution charging model, distribution connected generation would not be subjected to a locational signal as there is no underlying security of supply standard for generation on the distribution network. Attribution of specific network investments to specific users may over-expose individual users to the risk that reinforcement is required, and, if set nodally or zonally, then existing user’s tariff can be affected by other users’ behaviour, which may be seen as a source of volatility and reduction in cost-reflectivity, unless individual tariffs can be locked-in. Penalising tariffs in constrained areas may discourage new providers of flexibility from connecting. The approach is significantly more complex than existing LV and HV charging models, and more complex for transmission. It relies on the network company to make subjective assumptions regarding the future demands on the network in order to forecast future headroom and potential reinforcement requirements. These forecasts will be subject to uncertainty, which can expose users to additional risk. It also relies on the network company to make subjective judgements to attribute a particular network reinforcement to a particular user. This assigns the costs of reinforcement to a user (or group of users) in proportion to the probability that incremental usage by that user will trigger reinforcement on the assets to which that user is connected, ie a ‘cost allocation’ model. It is a generalised model reflective of current engineering practice, which is likely to result in stable prices and therefore predictable user responses. It recognises the cumulative effect of multiple users connecting to the network, and is relatively easy to implement, being the status quo at the HV and LV levels, whilst simplification would be required for use at the EHV and transmission levels. However, there would be no locational element to charges – all user actions would be given the same cost signal regardless of the actual cost and/or benefit derived. The approach is likely to require assumptions from the network companies when operating the model which are subject to uncertainty and may vary between network companies, and the price signal for flexible generators muted. This calculates optimal network flows based on expected peak demand being met by existing generation, with charges calculated based on the impact of increments of capacity at nodes on the network, ie an ‘incremental’ model. The incremental load flow weighted average of the existing network is used as a measure of expansion in order to calculate the long run marginal cost caused by adding incremental capacity. The model would work by adding capacity of either generation or demand at particular nodes on the network, which is then offset by a corresponding reduction of either generation or demand at either a specific reference node or distributed across the network. The model signals areas of low and/or high capacity. There is symmetric treatment of demand and generation, and it avoids attributing specific network investments to specific users, while different costs caused by different users can be reflected through the way in which the tariffs are applied (comparable with current transmission charging where different charging backgrounds reflect different drivers of investment – peak-security and year-round). The use of upfront assumptions reduces the need for the network company to make internal assumptions and so increases transparency. The approach avoids step changes in signals due to asset investment, so should result in reasonably stable and predictable charges. It has a proven track record as it is already used in existing transmission charging arrangements. However the model simplifies the network in a way that may be less reflective of actual physical power flows on certain types of networks. In particular, flexibility providers may be modelled as causing issues. The model also only provides relative locational signals, which may distort the market and impact competition, while symmetric treatment ignores engineering factors related to fault-level reinforcement etc. The model might result in volatile prices, with a user’s charges often influenced by the actions of other users in the same location. Actual costs may also be different from the calculated average cost of reinforcement at any given location. The approach is significantly more complex than existing LV and HV charging models, and it is unlikely to be possible to extend this approach to LV and maybe even HV charges. Forward cost pricing which calculates the expected cost of reinforcement for a given network group (ie a group of nodes), with charges calculated based on recovering that cost over the calculated length of time until that reinforcement is expected to be necessary, ie a ‘contingency’ model. This model signals areas of low and/or high remaining capacity and scale of increasing capacity. Demand treatment is highly reflective of security of supply standards. Whilst likely to provide volatile signals, this is a cost-reflective approach, with site-specific (rule based) reinforcement costing. This is the current approach for (some) EHV distribution charging and is more closely linked to actual network and required costs/benefits due to users actions and hence less distortion to competition. However, the model allocates prices to network groups rather than nodes, so the approach can optimise allocation between groups but not within a group. Distribution-connected generation would not see a locational signal as there is no underlying security of supply standard for generation on the distribution network. High price volatility reduces the ability of network users to respond to signals, with a user’s charges often influenced by the actions of other users in the same location. The approach is significantly more complex than existing LV and HV charging models, and more complex for transmission, and relies on the network company to make subjective assumptions regarding future demands on the network. It also relies on the network company to make subjective judgements to attribute particular network reinforcements to particular users, and fails to provide a symmetrical investment signal because it does not incentivise existing users to reduce their use of the network. In addition to the question of which model to use is the question of whether the same approach should be taken at each level of the system. The Task Force considered three alternatives: a single model across all voltage levels; different transmission and distribution charging models but with common assumptions; and entirely different charging models across transmission and distribution. A single model across transmission and distribution would have the benefit of avoiding distortionary investment incentives due to different charge calculation models and allows users to make comparable decisions between transmission and distribution investments, reducing the risk of stranded assets. However, the approach may not reflect different planning standards or engineering practice and may be highly complex in practice. Significant work would be needed to develop a common model which appropriately reflects the attributes of all transmission and distribution networks. Different transmission and distribution models with common assumptions would have the benefits of reducing distortions between networks and allows appropriate comparison between connection and use of the network at different voltages. It may be easier to agree common assumptions than to achieve a common model, however, some discontinuities would remain. There would be different allocation of risk in Scotland compared to England, which is not justified by the underlying engineering/physics, and the alignment of assumptions could be challenging given different engineering standards, resulting in some distortion. Entirely different charging models across transmission and distribution would mean the models can more closely reflect different planning standards or engineering practice at each level and avoids the need for complex work to align charging assumptions. However, there is a potential for distortionary investment incentives as a result of different charge calculation models. There would be different allocation of risk in Scotland compared to England, which is not justified by the underlying engineering/physics, and modelling differences would require an enduring fix and not just interim methods. Current distortions would still present. Time of use tariffs create incentives for users to amend their behaviour to benefit the network. In order for any benefit to be derived from network time of use tariffs, they must be passed through to end users. Seasonal tariffs offer a more targeted price signal – moving to a seasonal price would allow network companies to set more cost-reflective charges for users. Distribution capacity charges are currently a flat rate based agreed capacity. The existing Balancing Mechanism on the transmission network complements network capacity charges by providing an incentive for users to give up operational use of the network at times when there may be insufficient network capacity. The development of active network management schemes could perform a similar operational role for the distribution network; however this could conflict with the application of time of use tariffs. The design of future tariffs might need to reflect the use of core and non-core capacity to avoid penalising higher consumption in off-peak periods as would be the case for users on Economy 7-type tariffs. Increased commonality between transmission and distribution charging could avoid distorting users’ decisions to connect at the distribution EHV or transmission levels and ensure that users are exposed to the costs they impose on the entire system. However, locational charging at HV and LV is not yet possible or practical and could have unintended consequences for some users. the extent to which different approaches could be susceptible to gaming. Standardisation of access: different access options reflecting the specific characteristics of specific users could be offered alongside ‘off the shelf’ solutions, with options applied to all users on a universal basis, a segmented basis, or an opt-in basis. Initial allocation of network access rights could be either on a first-come-first-served basis (with additional queue management, or on a “connect-and-manage” basis) or through auctions/trading. Queue management would ensure prospective connectees do not hold up other potential network users unduly eg through not meeting development milestones. Position in the queue could be traded to ensure those that value it most have the earliest opportunity to connect as new capacity becomes available. A connect and manage arrangement (currently available to generators connecting to the transmission network) allows users to connect as soon as extension assets are complete without the need to wait for wider reinforcements. However, this only provides non-firm access and has the potential to increase associated constraint costs behind some boundaries eg through constraint payments where a user does not have a flexible connection. The task force members were generally cautious about the use of auctions, seeing challengers in terms of protection of small/vulnerable users, and the operational and technical implementation difficulties identified in designing suitable auctions. Ofgem has decided to exclude the possible use of auctions from its SCR. The work of the Charging Futures Forum illustrates the complexity and challenges with reforming network access and forward charging arrangements. Understanding the network charging reform options available to Ofgem and the implications on individual business models is a complex task, however, as network charges continue to grow and form a key driver of energy users’ costs, this is something businesses need to try to get to grips with, particularly as they assess new investments and projects.